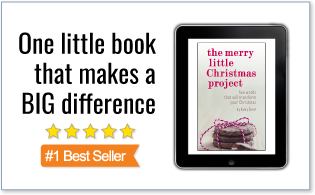 Would you like to have these great deals delivered right to your inbox? Subscribe to our email digest. Or if you use a feed reader, subscribe to our RSS feed. Thanks for stopping by! Did you score that sweet $5/2 Benadryl products coupon in yesterday’s RedPlum? Walmart and Target carry Benadryl Itch Relief Sticks for around $2.28. Use the coupon to score two for FREE! Buy (2) Benadryl Itch Relief Sticks for @$2.28 ea. The coupon was regional, so if it wasn’t in your insert you may want to consider purchasing some from ebay or a coupon clipping service. 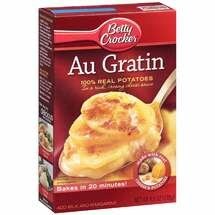 Walmart Deals 4/7/10: Betty Crocker Potatoes for Only $.54 and More! Walmart has Betty Crocker potatoes priced at only $.94. Use this $.40/1 printable to score them for $.54 each. Click here to check out the rest of the current deals at Walmart. Note: Prices at Walmart can vary by region. Let me know if you find a different price! 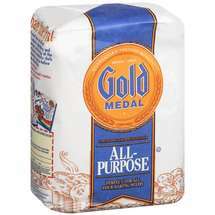 If you are like me and still haven’t used that $.75/1 Gold Medal flour coupon yet (no longer available), you may want to take it with you on your next trip to Walmart. I was just there and found a 5 lb. bag for only $1.50, making it only $.75 after coupon! I am not sure if this is a rollback price or the regular price. It looked like the regular price at my store. Thanks goes to Tracey for the heads up on this! Get 3 FREE after coupon! 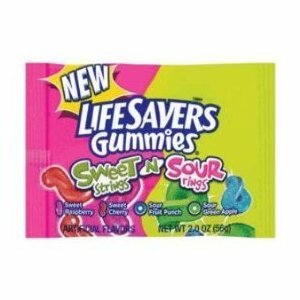 New Lifesavers Printable = $.14 at Walmart and More! There is a great new $.50/1 Lifesavers Strings n Rings single pack printable coupon here. These have been found at Walmart for only $.64. Use the coupon to score some for only $.14! See more current deals at Walmart here. Sign up for YoBaby’s newsletter and you will be able to print a coupon for $1 off any one Stonyfield YoBaby Organic Whole Milk Yogurt. 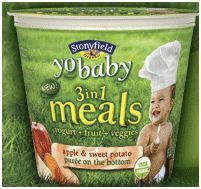 Most Walmarts sell the single cups of YoBaby 3-in-One Meals for $1. Score some for FREE after the coupon! Click here to see more current deals at Walmart. Buy 3 Olay Ultra Moisture Lotions @ $3.87 ea. 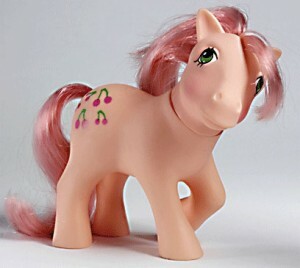 $6.39 moneymaker after coupons and rebate! Buy 3 Olay Regenerist Moisturizers @ $6.27 ea. 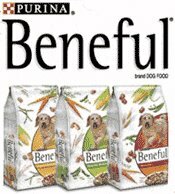 $5.19 moneymaker after coupons and rebate! Note: Prices at Walmart can vary from store to store. Let me know if yours is different! Don’t forget that you can get a great deal at Target with this rebate as well! Note: Occasionally Walmart’s prices vary by region. Let me know if yours is different!